Bisalloy Steels is Australia’s sole manufacturer of quenched and tempered armour steel plate, as well as high-strength, high-toughness steel plate for naval shipbuilding applications. The specialised processes undertaken by Bisalloy both strengthen and harden the specially alloyed steel plate, with two key steps involved: quenching and tempering. Bisalloy Steels supplied the steel for the hulls of Australia’s six Collins Class Submarines for the Australian Submarine Corporation. Bisalloy’s product was required to undergo rigorous testing to conform to the Royal Australian Navy’s (RAN) stringent requirements. Bisalloy Steels supplies high strength and high-toughness steels (such as HY 80 and HY 100 to US specification) for the manufacture of frigates, air warfare destroyers, helicopter landing dock vessels and other large naval vessels. The steel has unique characteristics, such as strength, toughness and shock-loading impact resistance, but the steel is also readily cold-formed, fabricated and welded. Overall, it is the combination of the two processes of quenching and tempering, combined with a specialised and highly refined alloying that produces stronger and tougher steel with good fabrication properties, which is also ductile and tough for shipbuilding applications. Bisalloy Steels is an approved facility to manufacture armour steel plates by defence authority in various countries including Australia and the US. Bisalloy armour plates comply with US MIL-DTL standards used as the specifications for the manufacture of armour steel plates worldwide. Bisalloy Steels is Australia’s leading manufacturer of high-tensile and abrasion-resistant quenched and tempered steel plates. These are used for armour, structural and wear-resistant steel applications and marketed under the brand name BISALLOY®. The plates are exported to countries across continents such as the Middle East, Europe, North America and South America. From the company’s headquarters in Unanderra near Sydney, NSW, its products are manufactured through a highly efficient, continuous flow process. Since beginning operation in 1980, Bisalloy Steels has earned an outstanding international reputation for product quality and technical backup. Bisalloy’s position as a specialist performance steel manufacturer and supplier means it is extremely responsive to global customer demands and market changes. Additionally, the company’s commitment and focus is on continual product development and improvement. Bisalloy Steels delivers to a whole range of industry manufacturers, including pressure vessel, defence, general fabrication, construction and mining. The company supplies its products to an Australian distributor network directly to end users, through its organisations in Thailand, Indonesia and the People’s Republic of China along with worldwide agents. Bisalloy Steel Group is made up of Australian-based Bisalloy Steels, PT Bima Bisalloy, Bisalloy Thailand and since 2011, the Chinese CJV investment known as Bisalloy Jigang (Shandong) Steel Plate Co. The Group is mainly focused on its tempered and quenched steel plate production processes, as well as leveraging off its intellectual property linked to the raw material input (‘green feed’) formulation. Though the intellectual property’s primary value has so far been delivered through quenched and tempered steel plate production from Bisalloy Steels’ production facility in Unanderra, the joint venture in China has now proven its ability to replicate and build upon it. Bisalloy Steels has extended its international market presence with the launch of a new BISALLOY branded website by its South African partner, ADG Mobility (ADGM). BISALLOY® Protection steel plate has been specifically developed for those shielding applications that do not require full military specification armour grade steel. This video is an overview of Bisalloy Steels product range for naval applications. All grades of BISALLOY® Armour steel can be readily welded using conventional low hydrogen MMAW and GMAW welding consumables and processes. The M21 Class patrol boats are being built by Marsun Company, for the Royal Thai Navy (RTN). The patrol boats are intended for deployment in the exclusive economic zone (EEZ) of Thailand. Bisalloy Steels has entered a partnership with Australia’s leading scientific research organisation, CSIRO. Bisalloy Steels and ADG Mobility (ADGM) South Africa have signed a cooperation agreement that will see both organisations working together to provide the South African market with high-quality armour steel for both primary consumption and also as a key component of ADGM designed and manufactured armoured vehicle solutions. Bisalloy Steels has received 250t of its specialised high-performance steel plate from Naval Group Australia. 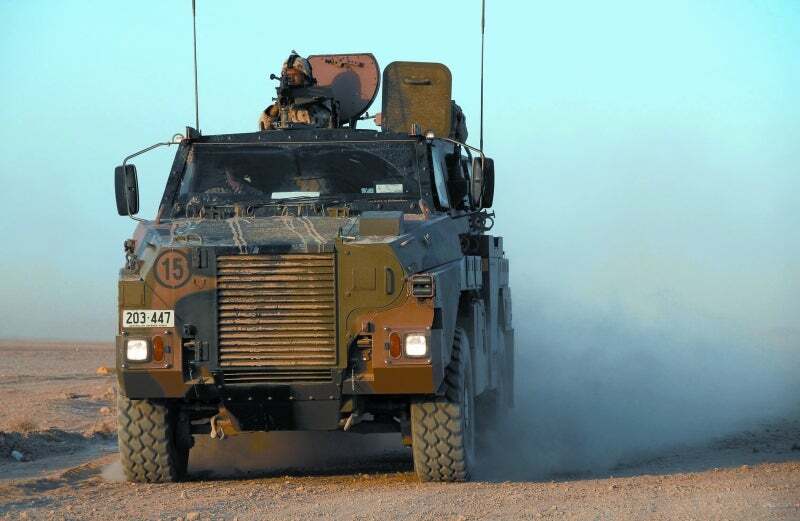 Bisalloy Steels has introduced Rheinmetall as the successful bidder for the Australian Government’s $5.2 billion LAND 400 Phase 2 Armoured Vehicle programme. Having embodied the principles of Australian-made excellence for nearly four decades through their innovative products and service solutions, and having carried the Australian reputation for quality to regions around the globe, Bisalloy is pleased that its products now also carry Australia's most trusted and recognised symbol - the Australian Made logo. Australia-based Bisalloy Steel Group has announced a co-operation agreement with Swedish speciality steel manufacturer Swebor Stål Svenska for the distribution and sale of high-performance armour steel products to the civilian and defence armour markets in the Middle East. Bisalloy Steels CEO and managing director Greg Albert announced today the appointment of Shane Gleeson to the position of group general manager sales and marketing.